Almost every month brings reasons to celebrate or honor someone, be it family or friend. 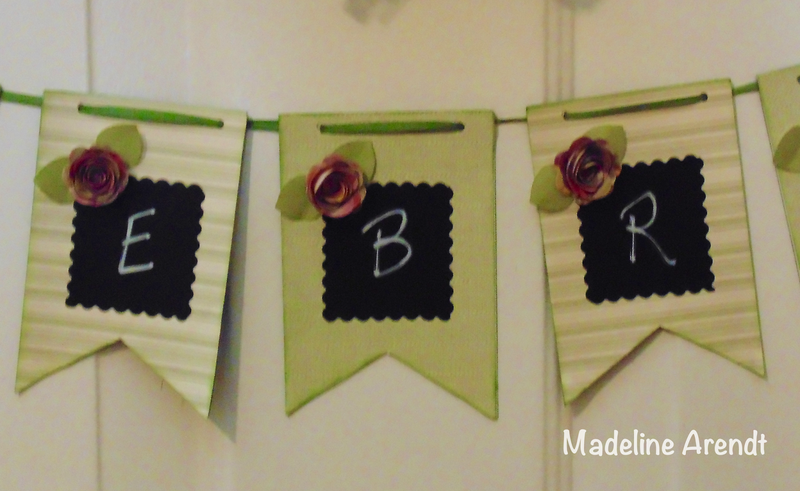 The first idea to share is a twist on a banner. From Deflecto magnet sheets, I cut a banner flag shapes. NOTE: Cut as many flag shapes for the greeting of your choice. 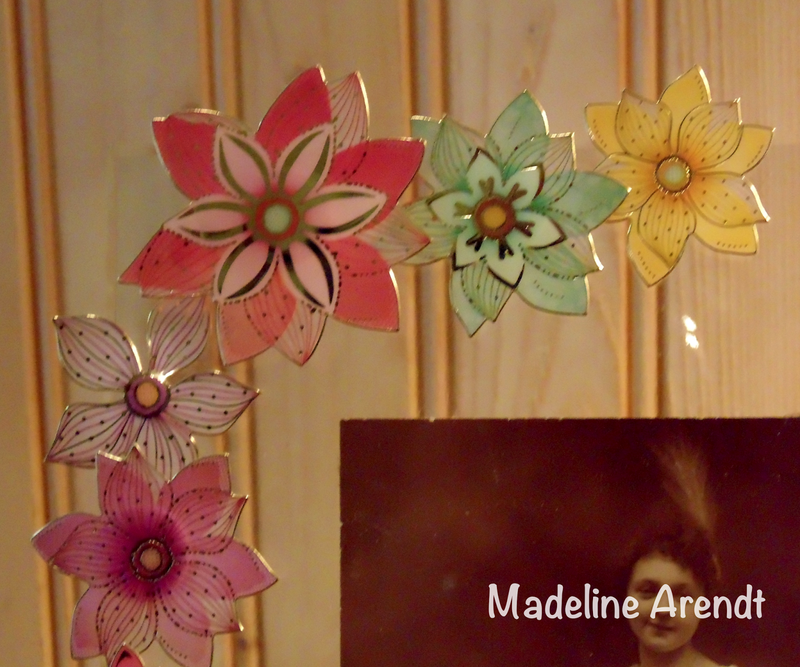 Cut decorative papers to match the magnet shapes. Attach the papers to the magnet shapes using double-sided tape. Cut a square from Scotch Brand chalk tape and trim the edges with decorative scissors. Place the chalk tape square onto the magnet flags. Each of the flags are embellished with a die-cut 3D paper flower and two punched paper leaves. NOTE: Each of the flags and the paper leaves are shaded around the edges with some inks. Use chalk or a chalk marker to write you greetings on the squares. With a hole punch, make two holes near the top of each flag. Lace a length of ribbon through the holes, space evenly. Place the banner on a door. One of my very favorite Deflecto frames is this floating-type frame. On its own it is just a lovely frame but it does lend itself to a wide variety of embellishing techniques. To add just a slight touch of color I used clear acrylic stickers. Stickers are a very easy way to add a personal touch to a plain frame. With these stickers I added foam dots to the center backs for placement on the frame. By adding one or two layers of dots you can arrange the stickers for a more dimensional look. NOTE: After placing the dots on the backs and before removing the release, brush the adhesive part that shows with a little bit of talcum powder to remove the "stick". 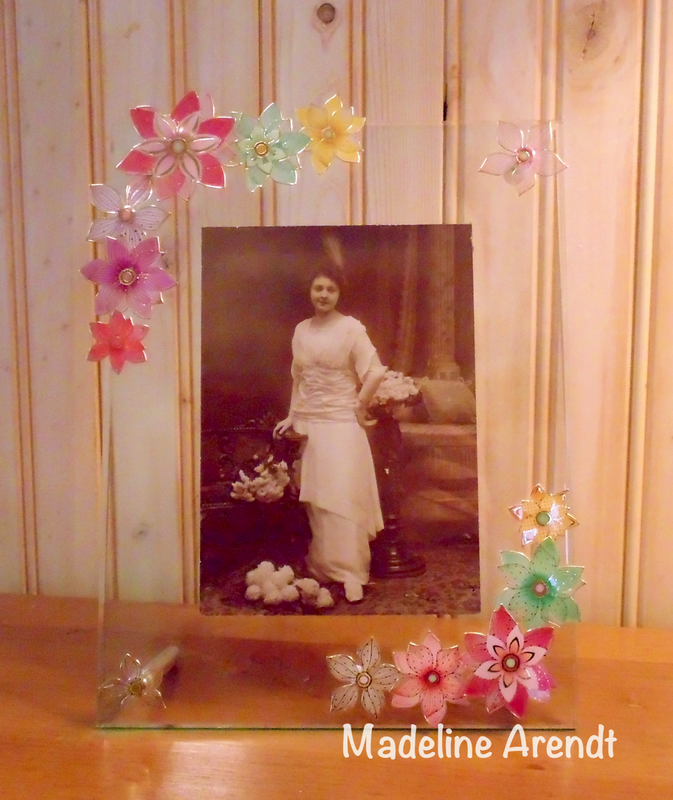 The last of the acrylic frames once again has some simple embellishments that can give it just a little something extra. Four shapes were made from Makin's Clay. Directions for this are as follows: Make the casting using a mold of choice and follow directions from manufacturer, using white Makin's Clay in the molds. When dry, paint as desired. 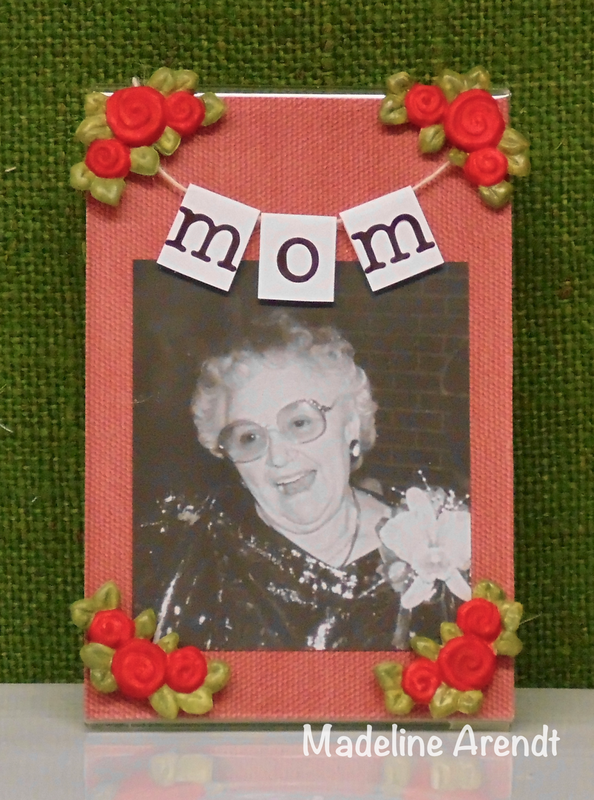 Cut a decorative background paper of choice for inserting in frame. Glue the Makin's Clay elements to the corners of the frame. 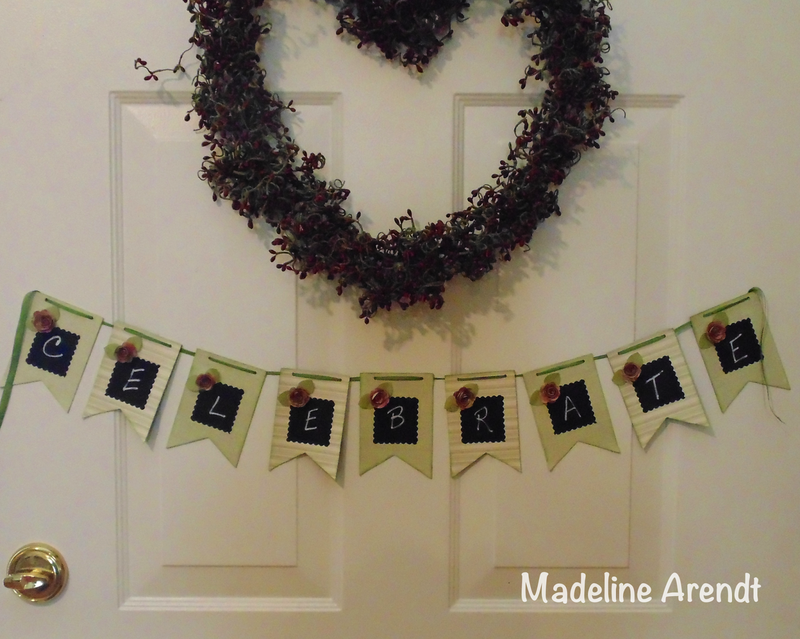 Add a tiny banner that spells out the special someone you are celebrating with alphabet stickers.